The Apple iPhone XS has been revealed, and it’s a gorgeous example of what makes a great 2018 phone, with powerful hardware and a beautiful look. But it takes more than power and beauty to beat Apple’s biggest rivals, and they don’t get much bigger than Samsung. Now that the iPhone XS is here, it’s time for each company’s chosen champion to duke it out in a futuristic flagship fracas. Is the Apple iPhone XS better than the Samsung Galaxy S9? Which should you buy? We took a look to find out. The Galaxy S9 is powered by the Snapdragon 845 processor — the same chip we’ve seen in many 2018 flagships, including the Galaxy Note 9, OnePlus 6, and the LG G7 ThinQ. It’s a very powerful chip, and we’ve yet to see it provide anything less than super-smooth performance and excellent gaming performance. However, the new A12 Bionic processor in the iPhone XS might manage to top even the mighty Snapdragon 845. Apple showed off some spectacular footage from the upcoming Elder Scrolls: Blades video game running on the iPhone XS, and it’s likely the iPhone XS will usher in a new level of power for mobile processors. It’s not so conclusive where battery life is concerned. Apple hasn’t revealed how large the iPhone XS’s battery is, but we do know it’s slightly larger than the 2,716mAh battery in the iPhone X. We should expect around a day from the new iPhone — which is about the same as the Galaxy S9. In terms of charging there’s wireless charging on both phones, and fast charging too. Apple continues to fail to include a fast charger in the box though, which seems odd when most phones — the Galaxy S9 included — ship with a fast charger. Despite the lack of a fast charger in the box, the iPhone XS’s performance looks set to blow us away — and it wins this round. The Samsung Galaxy S9 has a bezel-less style that sees the display blend seamlessly into the glass and metal body. Flip it over and you’ll find a single camera lens and a fingerprint scanner on the back. It’s a beautiful phone, and one of our favorite designs. It’s smooth and sleek, and thoroughly modern. 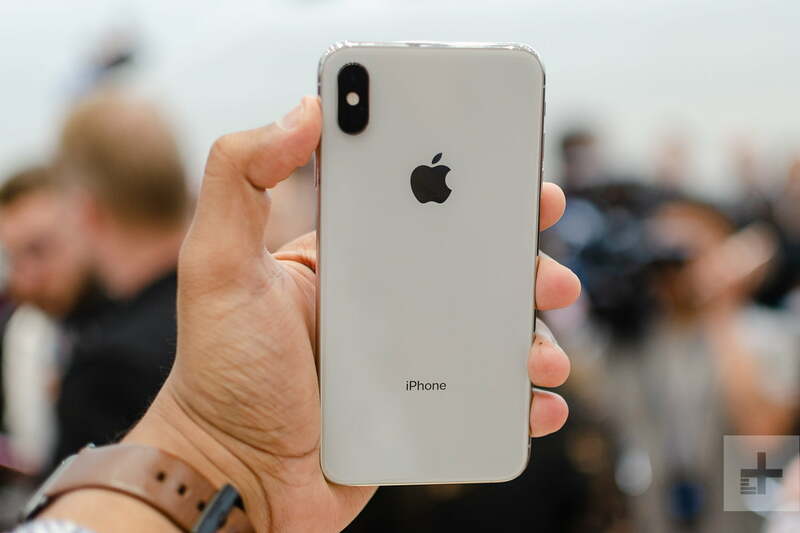 Similarly, the iPhone XS is a beautiful combination of glass and metal, with an all-encompassing bezel-less design. Apple has improved on the iPhone X by adding a gold finish to the XS, giving the phone a distinctive gleam. You’ll find two camera lenses on the back of the iPhone, but there’s no fingerprint scanner, and there’s no headphone jack either. The iPhone XS also has that notch — but most Apple fans are probably used to that by now. Thanks to an upgrade from Apple, both phones have IP68-water resistance and should be able to withstand a drop in the pool or bath. You’re probably going to a want a case for both though — the glass is fragile, and both glass bodies attract fingerprints. Apple is boasting that the glass on the iPhone XS is its most durable ever, but we’ll have to see how that stands up in practice. Both of these phones are exceptionally gorgeous in different ways, and it’s very hard to pick between the two. The iPhone XS may be the better looking, but that is balanced out by the headphone jack and fingerprint scanner on the Galaxy S9. This is a tie. Apple’s OLED rollout is complete, and you will only find LCD display technology in one iPhone this year. The Super AMOLED display in the iPhone XS is a work of art, with support for HDR10, Dolby Vision, and Apple’s True Tone feature. We haven’t had much chance to play with it yet, but the little we saw blew us away. But is it better than the Galaxy S9’s Super AMOLED display? Samsung is arguably the king of OLED, after breaking DisplayMate records with the Galaxy S9 and Note 9. Both the S9 and iPhone XS come with a 5.8-inch display, but the Galaxy S9’s is sharper, thanks to a higher resolution. While both have stunning displays, we’re betting on the Galaxy S9’s sharper display and Samsung’s experience. Samsung continues to impress with the single 12-megapixel lens on the Galaxy S9. The variable aperture means that the phone is able to intelligently change between aperture as required, and it’s capable of taking incredible photos. However, that lack of a second lens is likely holding the S9 back, and we thought the dual-camera system on the iPhone X was superior back when we pitted those two phones head-to-head. Apple hasn’t stood still since then, and the iPhone XS continues to improve on smartphone photography. The XS rocks two 12-megapixel lenses — one with telephoto capabilities — and a host of new features powered by the A12 processor. There’s a Smart HDR mode that combines the best bits from multiple photos to create a single image and a setting that allows you to set the depth of the background blur in Portrait Mode shots, as well as a host of improvements to existing tools. The S9 has an edge thanks to super-slow-motion video, with the ability to capture video at 960 frames-per-second, but it’s not an everyday feature, and we think most people will appreciate stronger images over slow motion. The selfie cameras are similar, with the S9 rocking an 8-megapixel lens, while the iPhone XS has a 7-megapixel TrueDepth lens. This category is tough to judge since both have exceptionally strong features and camera suites, but the dual-lens iPhone XS takes it. You will find Android 8.0 Oreo on the Galaxy S9, with Samsung’s custom Samsung Experience UI laid over the top. Most people with previous Android experience shouldn’t have any issue using this custom UI. However, this heavy modification means that major Android updates can take a while to come to Samsung’s phones. While the S9 will be receiving an update to Android 9.0 Pie, don’t expect it to arrive quickly. This isn’t a problem on the iPhone XS’s iOS 12. Since Apple controls both iPhone hardware and the iOS operating system, it can push out updates as it pleases. In addition, Apple tends to support its phones for longer than any other manufacturer — so it’s likely the iPhone XS will still be getting major iOS upgrades after the Galaxy S9 has been written off. Comparing iOS and Android is extremely difficult, and it often comes down to personal preference. However, the iPhone XS wins here thanks to Apple’s strong update record. You’ll find a bunch of special features on both of these handsets. You’ll find Apple’s latest features on the iPhone XS, including the latest Siri updates, augmented reality-powered Animojis, and Apple’s impressive FaceID face unlock. The Galaxy S9 can be used with Samsung’s DeX pad for desktop capabilities, has Animoji-like AR Emoji, and the voice assistant Bixby. There’s also Iris Recognition unlocking on the Galaxy S9. It’s hard to anoint a winner here since both have some strong features that different people will enjoy. This is a tie. The Samsung Galaxy S9 is available now, with prices starting from $720 for the 64GB model. As it’s a Samsung flagship it’ll work with most U.S. carriers. The iPhone XS starts at an eye-watering $1,000 for the 64GB model. Like the S9, it’ll be available on most U.S. carriers. As ever with the Samsung-Apple dynamic, this fight was close, and it could have gone either way in more than a few categories. However, the powerful new A12 Bionic processor, improved camera, and Apple’s update policy really swung it for the iPhone XS. However, your decision shouldn’t be a foregone conclusion. 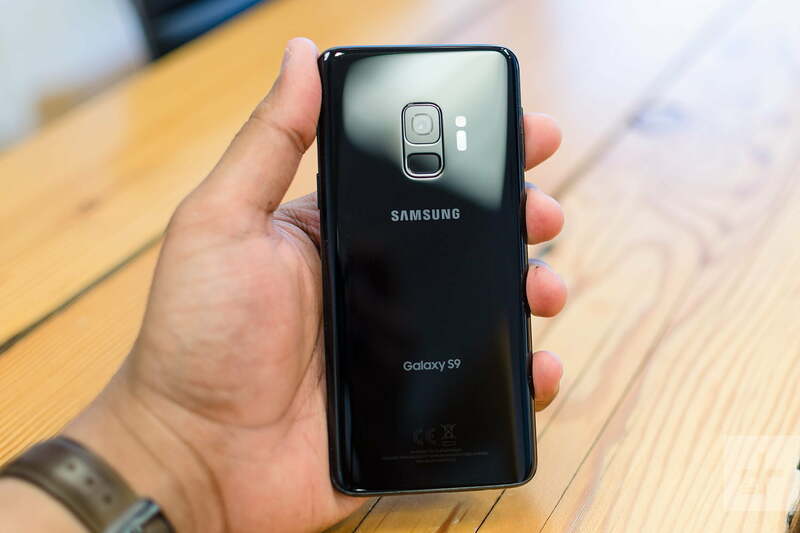 If you prefer Android phones, then it goes without saying that you should buy the Galaxy S9. Even if it loses out in certain categories, the S9 is no slouch, and has the power of the Snapdragon 845, an exceptional camera, and some great software. Plus, the Galaxy phone is close to $300 cheaper. But for anyone who isn’t put off by the $1,000 price tag, and is simply interested in getting the best phone — pick the iPhone XS.